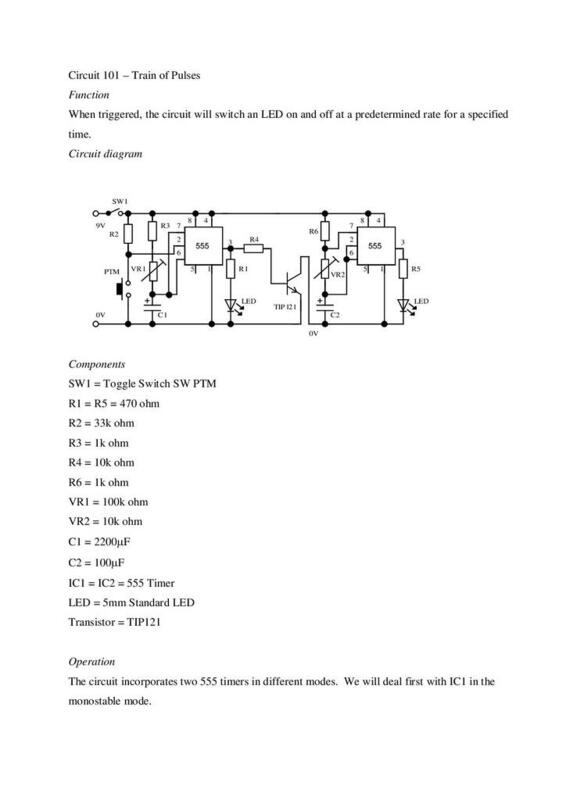 From the Technology Enhancement Programme (TEP), these circuits allow students to build a range of devices. 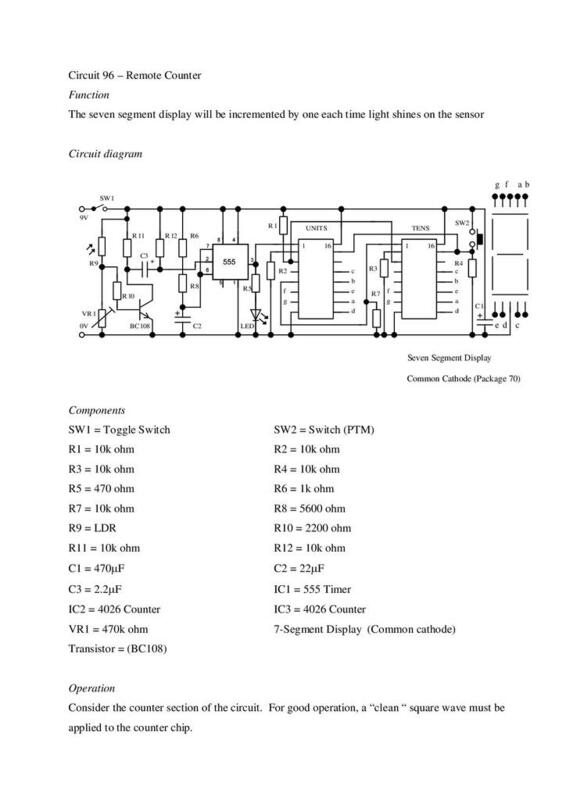 Each circuit has a full circuit diagram, component list and explanation of how the circuit works. 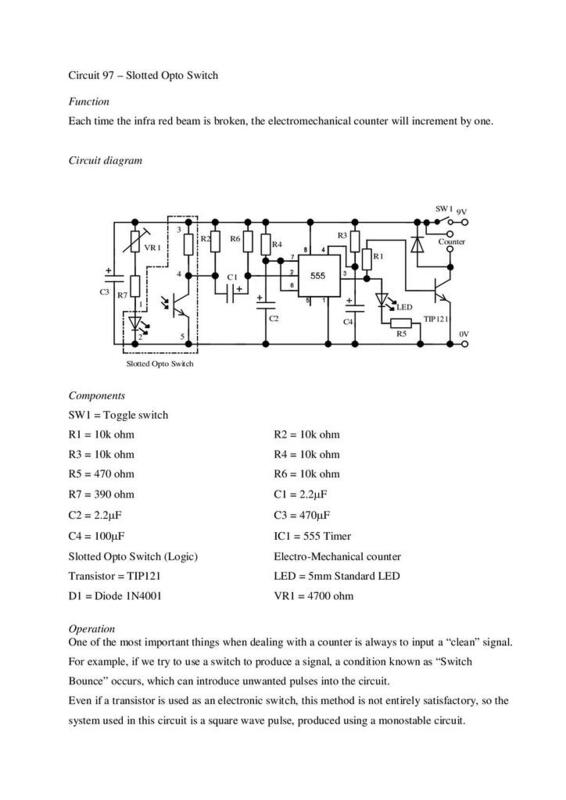 In this section, the circuits cover a range of miscellaneous devices. 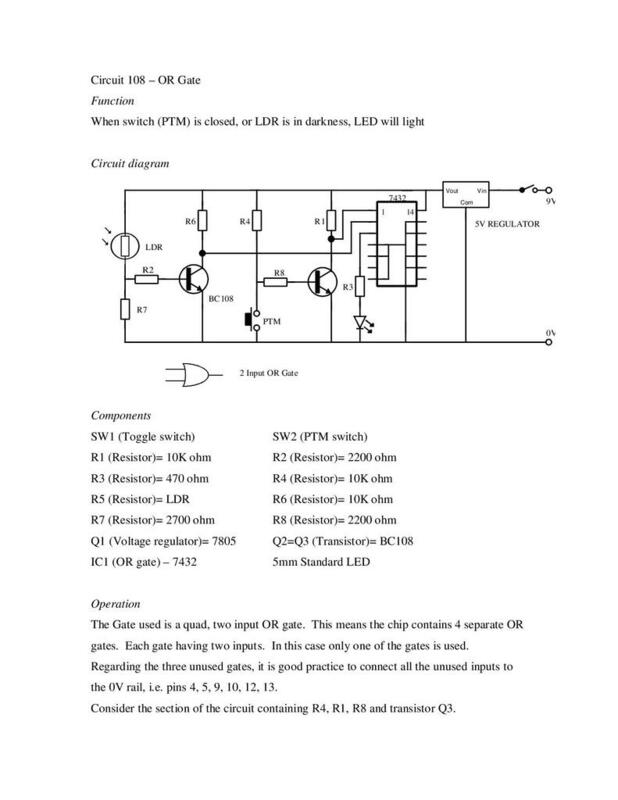 A seven segment display is incremented by one each time light shines on the sensor. Each time an infra red beam is broken, an electromechanical counter will increment by one. 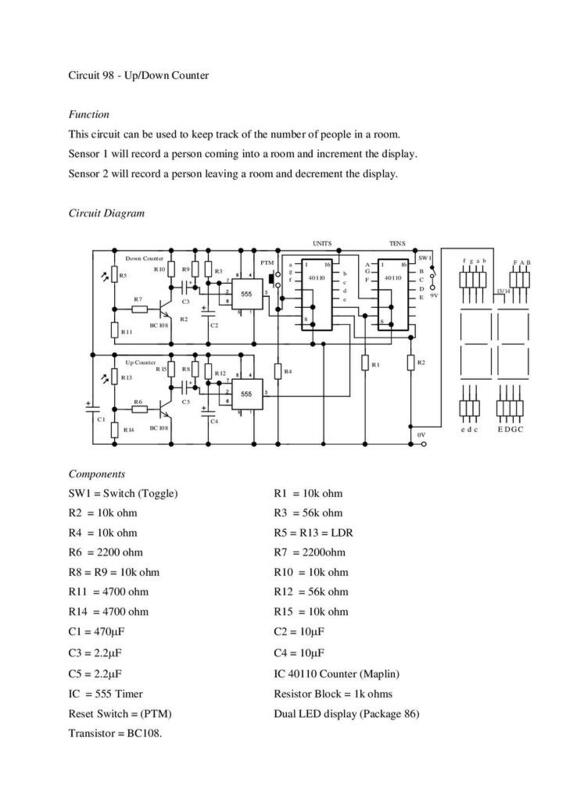 This circuit can be used to keep track of the number of people in a room. Sensor one records a person coming into a room and increments the display. Sensor two records people leaving the room and decrements the display. 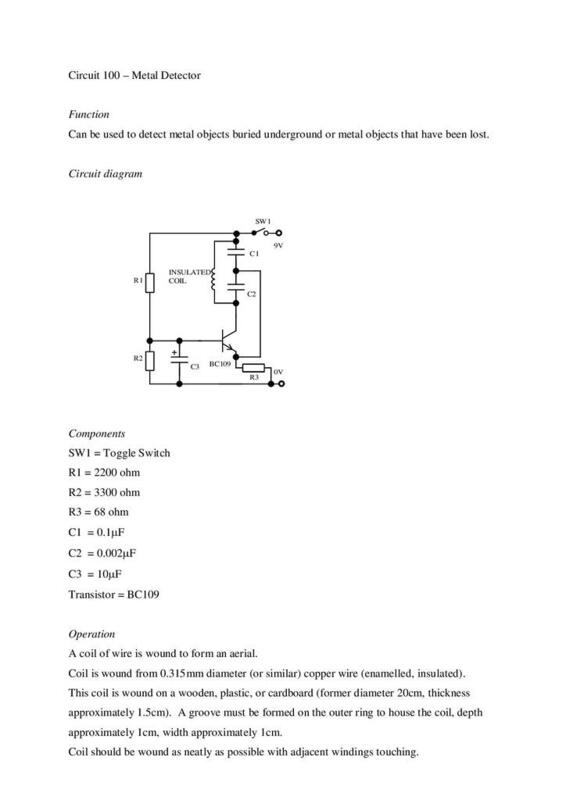 Circuit which can be used to detect metal objects buried underground or metal objects that have been lost. 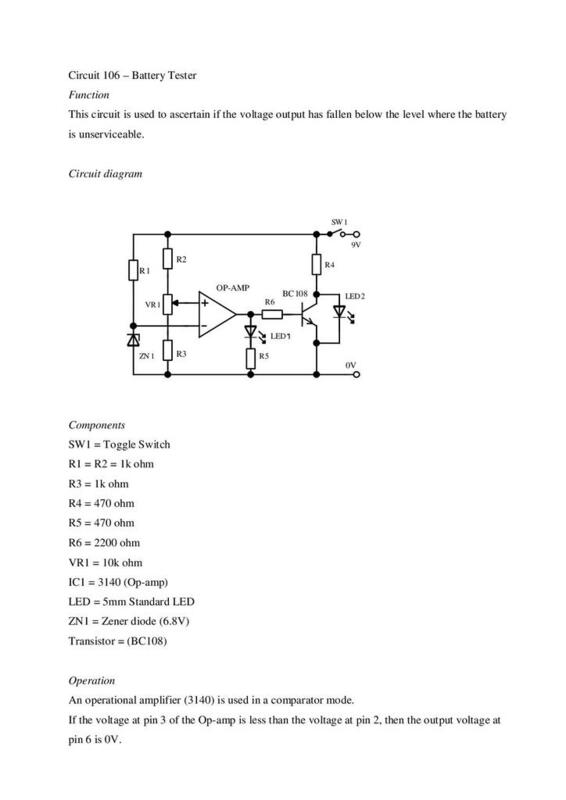 When triggered, the circuit will switch an LED on and off at a predetermined rate for a specified time. 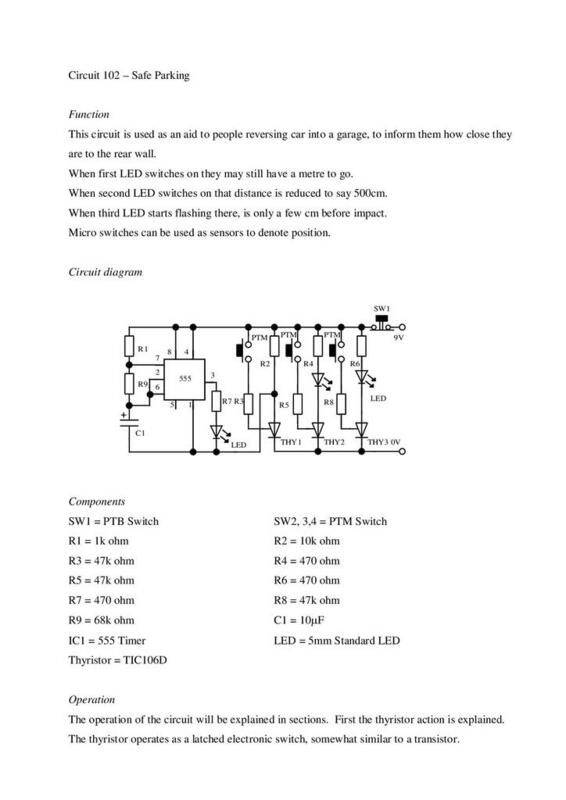 This circuit is used as an aid to people reversing a car into a garage. A series of LEDs light depending on the distance of the car from the garage rear wall. Micro switches can be used as sensors to denote position. 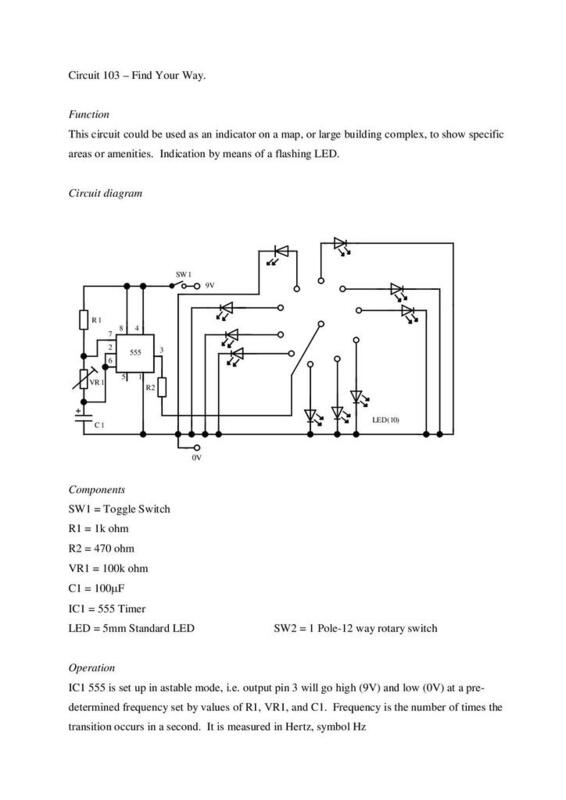 This circuit could be used as an indicator on a map, or large building complex, to show specific areas or amenities. Indication is by means of a flashing LED. 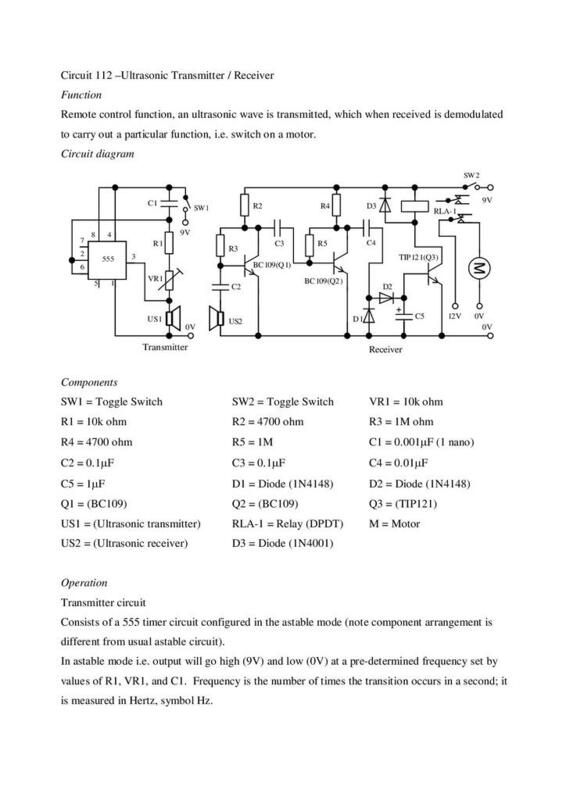 This circuit is used to ascertain if a battery's voltage output has fallen below the level where the battery is unserviceable. 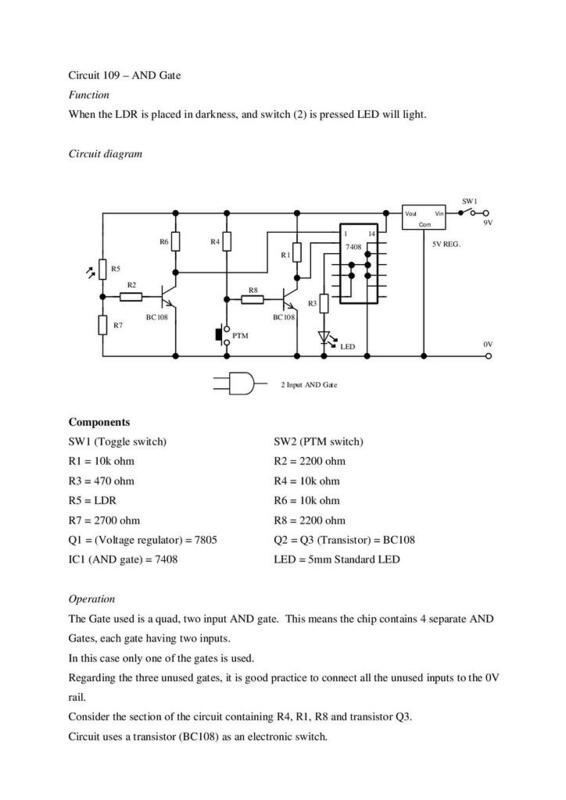 Circuit to demonstrate an AND gate. When the LDR is placed in darkness, and a push-to-make switch is pressed, an LED will light. A remote control function in which an ultrasonic wave is transmitted. When received, the wave is demodulated to carry out a particular function, i.e. switch on a motor. 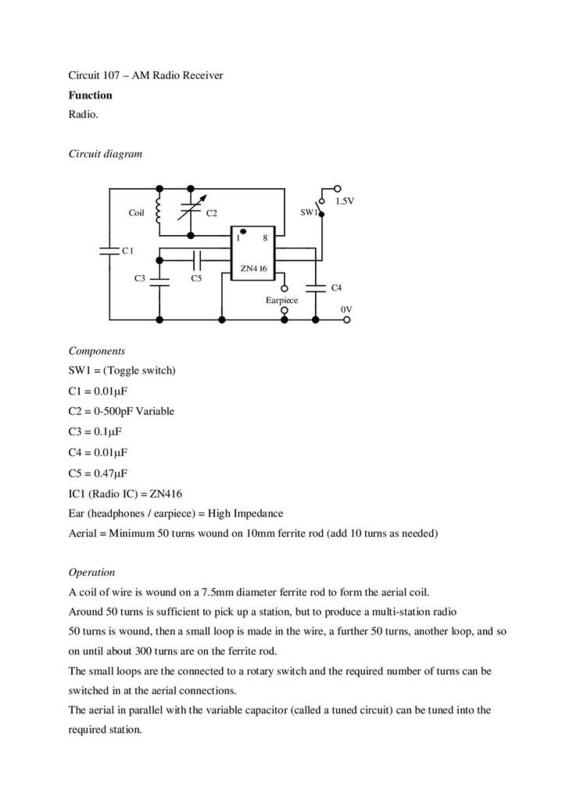 For more resources on circuits please visit Miscellaneous Circuits (Part One) and Miscellaneous Circuits (Part Two).